The toddler and two's have been extremely observant of colors; "boo, lellow, wed, and geen." Some of the older children know quite a bit, while others are still learning. 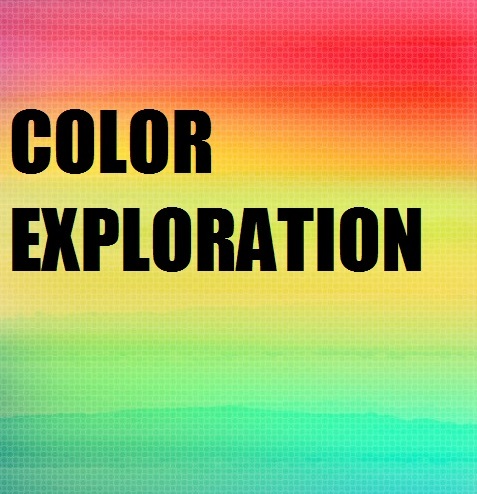 After discussing with Karen, the other toddlers & two teacher we decided to explore colors a little further. We wanted the children to learn colors not memorize them by repeatedly quizzing them. We decided to pick a different color each day and set up an invitation that was engaging, meaningful, and fun. We started things off with a red discovery basket. We gathered a variety of different materials that were red and let the children go to town. Some of the materials in the basket the children were familiar with while others were new. The kitchen timer was the most popular of all. The children would twist the timer and eagerly wait for it to ring. We filled a sensory bin with lentils and other orange objects. The children scooped, poured, and filled containers. Once they spotted the clementines we worked on opening them up and enjoyed a delicious snack! If there's one thing our little ones love it's cars, trucks, trains, etc. For yellow we gathered the construction vehicles and put it in our sensory bin with corn meal, and yellow craft sand. By the end of it they had their socks and shoes off and were feeling the sand with their bare feet. To incorporate the arts we decided to do green paintings with evergreen branches. The room was full of the scent of pine, and the finished products were beautiful green paintings. We introduced scissors a while ago, but what better way to practice our skills than cutting purple spaghetti?! Chocolate cupcakes are what the munchkins whipped up for brown! Our color exploration went on for about two weeks. Like I mentioned at the beginning of this post the children were not sitting looking at flash cards and being quizzed; the children learned new colors through play!